The aim of this project is to start creating awareness and to convey the idea that optical sensor technologies are now technically and economically mature enough to provide safety enhancement features in the residential environment and market. A first application of these technologies can be that of real time building structural health diagnosis: a utility company or telecommunications operator is in a position to provide it as a service by means of its urban optical fiber infrastructure and service management expertise. There are several advantages accruing from continuously monitoring the structural health of buildings. However, among them there is one that stands up as the overriding driver for the long term measurement of mechanical strain in key points of building structures: the prevention of building collapses and their associated loss of human life, personal injuries and economic damage. This last item falls on the building owners and residents, the companies which insure them, municipal or regional authorities and, in general, society as a whole. 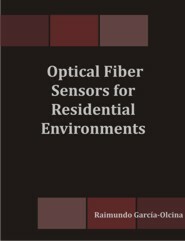 From this rationale, this work proposes the use of optical fibre strain sensors attached or embedded in building structures to monitor their health. One single optical fibre reaching an area can monitor hundreds of sensors, distributed over several buildings or even a building block. The sensors are not powered, and the measurement equipment can be kilometers away, continuously polling tens of fibers, or hundreds of buildings, in which the building tenants are not even aware that the building structure is being looked after. These fibres can be shared with other telecommunications services, by means of wavelength division multiplexing. An attractive candidate for providing this service is then a telecommunications operator, or utility company, which already deploys urban optical fibre infrastructure and owns sites throughout their service area where centralized measurement sets can easily be installed and managed. How much the service would cost, who would be willing to pay for it and under what circumstances, what installations it requires and how they would be run, and other related issues will be addressed throughout this document. What will be explained is that for this application optical sensors are a good choice, and that the natural building strain measurement service provider is a telecommunications operator or a utility company.